Amazing Chase™ products are a great activity to provide stimulation, engagement and relaxation for people living with dementia as well as other cognitive and visual challenges. 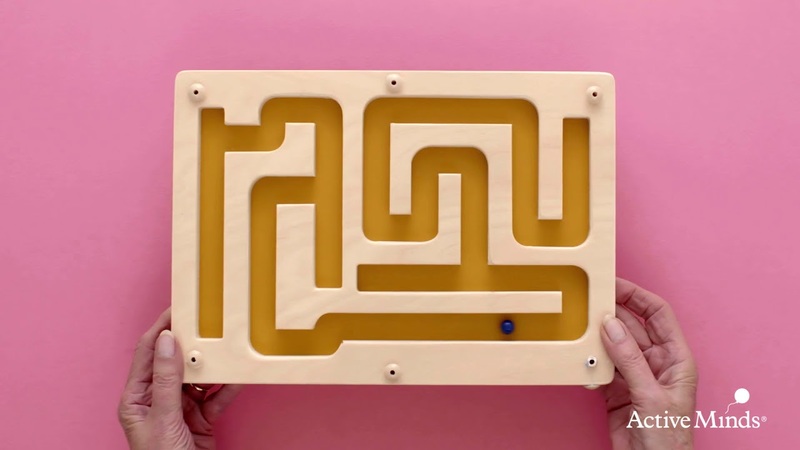 The infinity maze is the easiest in the range and appropriate for people of all abilities. To play hold the game and guide the marble round the track as fast or as slow as you like. The game has been designed to help test your hand-eye coordination and improve dexterity. Amazing Chase™ products are lightweight and high colour contrast makes it suitable for people with poor sight.